Although hotels in Saint-Christophe-en-Oisans are definitely on the skinny side, Wotif lists a number of luxury and budget hotels for the region. You'll find at least 73 choices within 30 kilometres of the city's heart. Although it might be on the outskirts, you should take a look at the Le Printemps de Juliette and the Hôtel Club mmv Les Bergers. It's clever to also think about the CGH Résidences & Spas Le Cristal de l'Alpe and the Alpenrose Hôtel. If you find yourself searching for more options in Saint-Christophe-en-Oisans, consider the Hôtel-Spa Royal Ours Blanc and the Le Cassini. They are located 25 kilometres and 16 kilometres away from the center. Others are the Hôtel Les Grandes Rousses, 25 kilometres away, and the Hotel des Glaciers, 17 kilometres. The close by cities of Les Deux-Alpes Ski Resort and Venosc are certainly worth exploring. Les Deux-Alpes Ski Resort is 12 kilometres to the northwest of Saint-Christophe-en-Oisans, while Venosc is 12 kilometres to the northwest. Hotels in Les Deux-Alpes Ski Resort include the Hotel La Belle Etoile and Mercure Les Deux Alpes 1800. Venosc options include the Hôtel des Neiges and Hotel Les Flocons. If watching sport gives you an adrenaline buzz, get moving to Alps Stadium. It's located to the northwest of Saint-Christophe-en-Oisans. 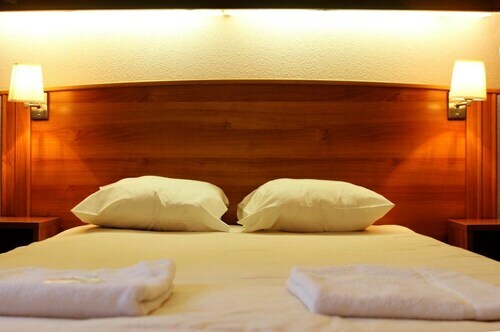 Book a hotel close to the action at the Le Grand Hotel Grenoble Centre or the Hotel Mercure Grenoble Centre President. Chambery - Savoie Airport is a gateway to Saint-Christophe-en-Oisans. Nearby hotels include the Le Chateau De Candie and the Hotel Ombremont-Restaurant Le Bateau Ivre. How Much is a Hotel Room in Saint-Christophe-en-Oisans? 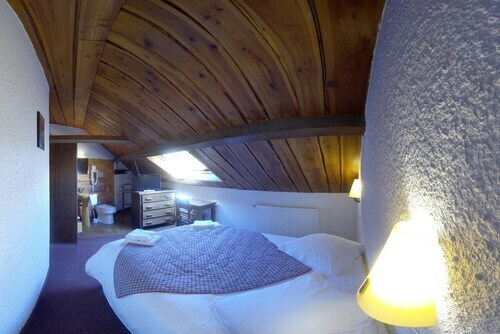 Hotels in Saint-Christophe-en-Oisans start at AU$100 per night. Prices and availability subject to change. Additional terms may apply. 5.0 Great stay in the French Alps! The staff here were wonderful and helpful, the went out of their way to accommodate me and my family, and spoke good English. The room was very clean, comfortable and cosy.